Amanda McDonnell is a mother of four children and has a diploma in Medical Sciences from the University of Ulster in Northern Ireland. She is originally from Belfast, Northern Ireland and is currently living in Glasgow, Scotland. Amanda is also known as the ASMR artist, WhisperSparkles. The first whisper channel on YouTube appeared in 2009 (see the History of ASMR for more details). Amanda created her channel soon after in 2010, making her one of the first dedicated whisperers on the internet. In my interview with Amanda she shares why she created a whisper channel is 2010, how ASMR videos have changed over time, how her interest in ASMR helped her to meet her fiancé, and more. Below are my questions in bold, her replies in italics, and a link to her YouTube channel so you can enjoy her early videos from 2010, as well as, her most recent videos. 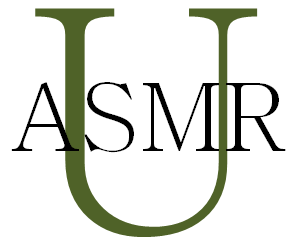 I have created a new page for the website that covers the history of ASMR. It highlights some of the major events from 2008 to the present in a timeline format. The first part of the page presents a brief view of the history. It is just a bullet list of key dates and events.